If you’ve been a vegetarian for long or even if you’re new to meatless meals, no doubt you’ve tried your fair share of veggie burgers. They’re a convenient substitute for meat, and most offer a nice helping of protein. The stand-by burger in our house is MorningStar Farms Grillers Original. We keep a box in the freezer so we can pull together a quick meal, but we nearly always have them the traditional way: on a bun (or sandwich thin). Lately, though, I’ve started branching out. A friend recently introduced me to a burger I’d never tried before. 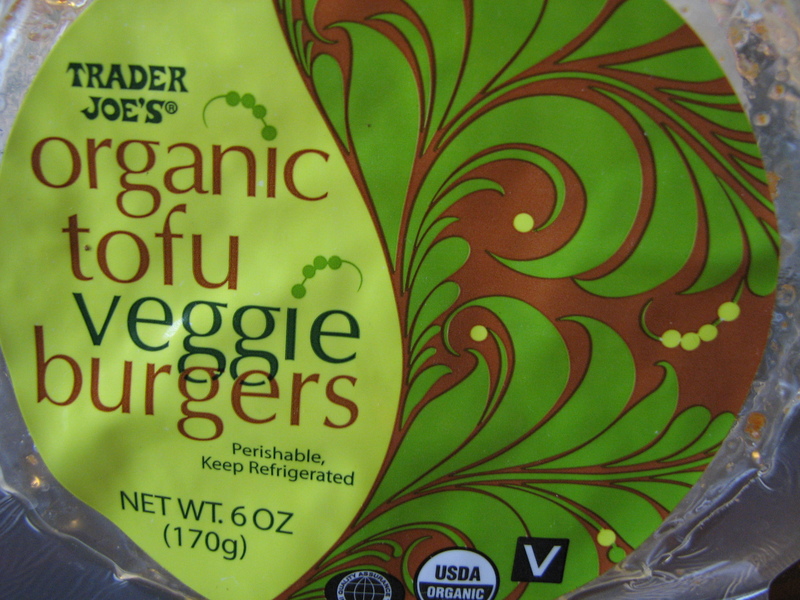 He described the Wildwood® SprouTofu® Veggie Burger Original as having a “KFC-like coating,” so I was intrigued. I’m finding that it lends itself well to recipes where I’d normally use tofu. I’m sure it would be delightful on a bun with all the fixings, but after a bit of chopping and browning, it made a nice, crunchy addition to a vegetable stir-fry . I enjoy it cold as well, diced and tossed with a salad of lettuce and vegetables. From what I can tell, it looks like Wildwood is selling this tasty product on their own and is packaging it for Trader Joe’s. I’ve compared the two, and the labels, ingredients, and nutrition facts are virtually identical. Look for it in the refrigerated section of your grocery store. Organic Tofu (Filtered Water, Sprouted Organic Soybeans, Nigari [Magnesium Chloride, a natural firming agent], Calcium Sulfate), Organic Canola Oil, Organic Yellow Onion, Organic Carrot, Organic Kale, Organic Tapioca Starch, Sea Salt, Organic Garlic Powder. Looks like we’d better make room for another stand-by; this one’s a keeper. What’s your go-to veggie burger? Hey Kristine! Great blog! I’m going to try those trader Joes burgers. 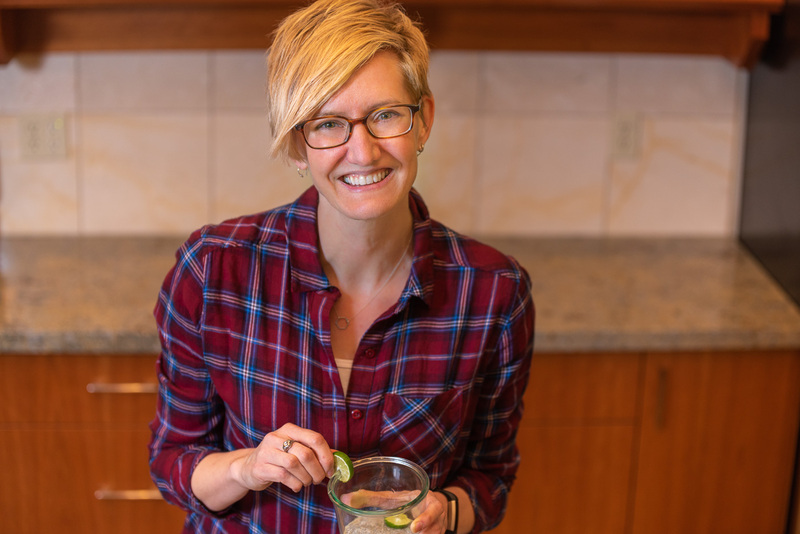 I’m always looking for lean, easy (add-water-and-stir) kinds of meals. i’ll keep in touch via blog. Again, great job and welcome to the blogosphere. Thanks so much, Dawn. I wouldn’t have a blog at all if it wasn’t for your wonderful class! 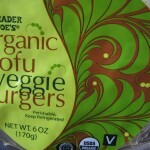 I am still looking for a good vegi burger so will definitely try these. My fall back has been Original Gardenburgers but they do have more sodium than what is recommended. I appreciate your comments on today’s blogs re: sodium content in pre-packaged & canned foods.